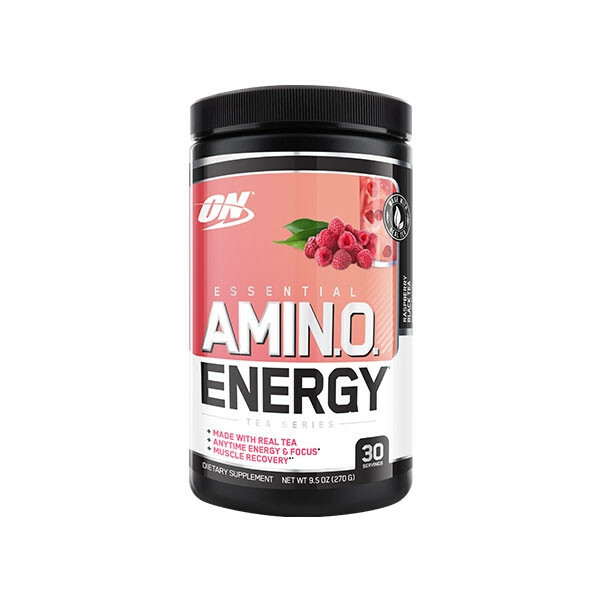 Optimum Nutrition Brings you a new take on the classic Amino Energy. 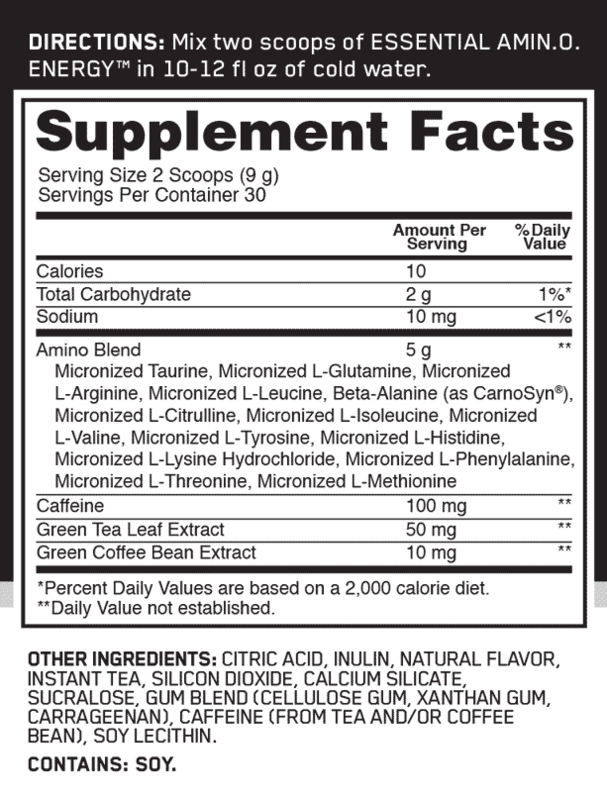 Now with added Tea for improved metabolic support and antioxidant benefits. Optimum Nutrition Essential Amino Energy is your go to amino acids and killer energy combo to help muscle building and powerful pumps. Working while supporting your nitric oxide synthesis, this combo has everything you need for a BCAA powered workout. This amino blend contains Taurine, L-Glutamine, L-Arginine, L-Leucine, Beta-Alanine, Citrulline, L-Isoleucine, L-Valine, L-Tyrosine, L-Histidine, L-Lysine, L-Phenylalanine, L-Threonine, and L-Methionine. Alongside this stellar amino blend lineup comes Optimum Nutrition’s proprietary energy blend of caffeine, green tea extract, and green coffee extract. It’s all the amps that you need to get pumping!